So J.S. Watts has put me in my place…in the best way possible! As this interview series with writers of literary fiction continues, the author of the novels Darker Moon and Witchlight challenges the very basis of my questions. “Why can’t a piece of writing be both genre fiction and literary fiction at the same time?”, she suggests, effectively turning my OR into an AND. She turns equally dubious at the possibility that a writer must be either visual OR conceptual. Fortunately, I’m not the only one on the hook. In explaining the interrelationship between genres in her writing, Watts touts the independent publisher of her novels, Vagabondage Press, as having bravely taken the chance on a story that blends literary fiction with dark fantasy and psychological horror, among others. Speaking about the rejection of her manuscript before going with Vagabondage, Watts points out the casual complaints she received from OTHER publishers about the unfortunate number of genres that exist simultaneously in her story. Boooo! Ladies and gentleman, here is the iconoclast, the binder of genres and the connector of writing approaches, J.S. Watts. I have had two novels published by a small independent publisher, as well as three poetry books by a separate independent poetry publisher, but it was my first novel, A Darker Moon, that prompted me to respond to your survey because, amongst other things, I consider it to be literary fiction (plus dark fiction and dark fantasy, plus psychological horror, plus mythic magic realism – it’s very much cross-genre, but underlying it all is the literary fiction aspect of the book). You can check it out on my website and on the ubiquitous Amazon. The seed of the novel was a specific idea, a what if? Specifically, what if you discovered after the event that, without knowing it, you had committed a major moral transgression (or at least something that’s deemed to be a major moral transgression). You can’t undo what you have done. Where do you go from there? How did you get there in the first place? How do you deal with it? This might imply that I’m a conceptual writer, except the book is riddled (in more ways than one) with fine art images and references. They are an important part of the lead character’s way of viewing the world. It is the lead character who narrates the novel. Moreover, whilst I am writing, I often see scenes in my head, like a personal film show playing out behind my eyes, before I commit them to paper. This might imply that I’m a visual writer, but then we go back to the conceptual seed of the novel, the what if? Also there is the underlying theme of the book, which I know you are going to ask me about later. The novel explores the theme from a number of conceptual angles. It was, I guess, the reason for writing the novel, although the what-if seed was the creative spark. In my mind, at least, I’m both a conceptual and a visual writer. I don’t see the need to be one or the other when you can be both. Mmmm, that’s a difficult question for me to answer. As I said earlier, the spark or seed of the book was the what-if idea. I guess, therefore, that it came at the very beginning of things. The theme, what makes us human, was the reason for writing the book and was also at the beginning of things. It’s therefore a bit like asking which came first, the chicken of the egg? I’m struggling to answer. If I think back to the original writing process, however, I guess the what-if seed/spark was where it all began. It germinated because of the underlying theme, but the theme developed as the story unwound itself. Then again, the story unwound itself in a certain way because of the underlying theme. We really are back to the chicken and egg scenario. I’m also pre-empting your next question. Sorry. It is probably worth saying, though, that the theme and nature of my book were what led me to my eventual indie publisher. Vagabondage Press specifically stated that “We are interested in publishing writing that examines what makes us human — the details that turn a day into a memory, a person into someone unforgettable, and moments that veer between the ordinary and the fantastic. We’re particularly interested in the question of what it means to be human, the exploration of relationships as a means for transformation and the complexity of the human psyche.” It seemed like a perfect fit for “A Darker Moon”, that and the fact that Vagabondage Press didn’t shy away from complex cross-genre story telling in the way that the main publishers and agents seem to do. Prior to signing with Vagabondage, I’d had heaps of rejections along the lines of “interesting story, lovely writing, but it crosses so many genres we wouldn’t know where to pigeonhole it.” Vagabondage were interested in the story and the book, not forcing it into a specific, limiting, pigeonhole. They were prepared to take publishing risks. I liked that. So, we are back to the earlier question of which came first, the chicken or the egg? Damned if I know. Part of the problem is the way I write and the importance of the editing process to my work. I start with the spark or seed. I write something. It goes a certain way because of plot needs, characterization and the demands of the underlying theme. The story unfolds. Sometimes it takes unexpected turns because of the needs of the characters that drive it, but basically, I know broadly where it’s headed. We reach a certain destination. It may not be exactly where I thought it would be, but it’s close. Then I go back, edit, and re-write. During the editing process, words get polished, but so does the story. Themes get thickened and interwoven at multiple levels. Scenes might get added (or deleted) to develop a theme and to create thematic layers and echoes. The theme influences the storyline. The story line influences the theme. And then I edit some more. For me, the editing process is a constant stirring of the ingredients, as well as the addition (or subtraction) of elements to thicken the brew. Both narrative and theme become developed in the process, as well as intermingled. Each influences the other. I influence both. I am influenced by both. Where does the chicken end and the egg begin? If I ever knew, I certainly don’t by the end of the writing and editing process. I rather liked Dan Holloway’s exploration of this in his earlier interview. Anything I say will sound really pedestrian in comparison. Fundamentally, though, I define literary fiction as well written, stylish fiction with something to say beyond the immediate story line. It’s good writing with depth. I’m not sure I set out to impress the reader, or challenge them, come to that. I wanted to interest them, intrigue them and make them think. If that leads to a broadening of their perspective of the themes in the book, then great. What I didn’t want was for the reader to take things at face value. Abe, my lead character, is a potentially unreliable narrator, but we see the story only through his eyes. I want people to think about what they think they know, what they are being shown, what they are not being shown and what may actually be there. In effect, I ask a number of questions I never fully answer, or only answer equivocally. It’s for the reader to determine their own answers. Nothing, ultimately, is “known” for certain. For that reason, I based the book on the well-known story of Cain and Abel. People know the story as it is told traditionally. A Darker Moon is a very different take on the old tale, and other myths and legends are also woven into the narrative: it is the known as unknown. If you don’t mind, I’m going to take these two questions together. For me, they are inter-related. To begin with I’m a poet, a short story writer and a novelist. I write across a range of themes and genres: literary, SF, horror, fantasy, paranormal and even some crime. I feel comfortable within these genres and frequently mix them up. Many people would see my poetry as literary, but I include speculative fiction themes and images within many of my poems. Myth and legends are an important part of much (but not all) of my writing. I publish in both literary and speculative poetry magazines. Sometimes the same poem can be seen as either/or, or both. The same goes for my short stories. Some may lean more one way than the other. Some of my stories I would personally describe as speculative fiction, rather than literary fiction, but even as I say this, I’m becoming slightly irritated. Why can’t a piece of writing be both genre fiction and literary fiction at the same time? Why do we have to have this arbitrary divide that causes some writers of literary fiction to deny their works are speculative fiction and leads literary critics to look down on genre writing? I’m happy to define myself as both a writer of genre fiction with literary elements and a writer of literary fiction with speculative fiction elements. The ratio of one to another may change from story, to novel to poem, but the mixture is nearly always there to some degree. A Darker Moon, as I’ve already mentioned, is proudly cross-genre. There are elements of horror, magic-realism, fantasy and literary fiction. It is intended to be thought-provoking and to work on a variety of levels. One reviewer recommended it “to people who do like mythological thinking type stories”. It has been welcomed and critiqued as both a genre novel and a literary novel. As far as I am concerned, it’s both and I’m happy with that. All communities have the potential to be closed or cliquey, either intentionally or unintentionally. You may not mean to keep people out, but, because like tends to cling to like, you can sometimes do so by default. The whole genre fiction/ literary fiction divide closes doors to some readers and writers. Cross-genre writing should, in theory, open access routes up, but can just lead to further squabbling. Perhaps indie publishing (both self-publishing and publication by small independent publishers) can break down the walls of the pigeonholes we have forced ourselves into, but the fact that we are having a conversation about genre fiction versus literary fiction causes me to be pessimistic and doubt this. There’s nothing to stop indie writers and publishers publishing literary fiction in the Kindle Store. A Darker Moon is available in a Kindle edition. Unfortunately, traditionally published writers with traditional marketing budgets (indie publishers usually have tiny, tiny marketing budgets and leave much of the marketing and promotion to their authors) will be the ones that people notice (the size of the marketing budget and the traditional promotional networks behind it do, regrettably, matter). Even more unfortunately, based on my experiences and those of other writers I’ve talked to, it is the traditional publishers who cling to the genre pigeonholes that close down access routes to writers. I think it needs independent authors and publishers to be truly independent of thought and to break away from the rules imposed by the big boys. Then maybe we will see a true diversity of fiction in the Kindle and other e-book stores. Comment: Questions or observations for J.S. Watts can be left in the comments section below. If you’re an author who wishes to join the ranks of other writers of literary fiction who have participated in the LitFic survey, click here. J.S.Watts is a UK writer. She was born in London and now lives and writes in East Anglia. In between, she read English at Somerville College, Oxford and spent many years working in the British education sector. She remains committed to the ideals of further and higher education despite governments of assorted political persuasions trying to demolish them. Her poetry, short stories and book reviews appear in a variety of publications in Britain, Canada, Australia, New Zealand and the States including Acumen, Brittle Star, Envoi, Mslexia and Orbis and have been broadcast on BBC and independent Radio. She has been Poetry Reviews Editor for Open Wide Magazine and Poetry Editor for Ethereal Tales. Her debut poetry collection “Cats and Other Myths”, a multi-award nominated poetry pamphlet “Songs of Steelyard Sue”, and her latest collection “Years Ago You Coloured Me”, are published by Lapwing Publications. Her novels, “A Darker Moon” and “Witchlight” are published by Vagabondage Press. 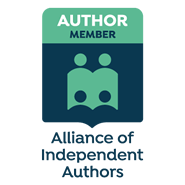 I like the both/and designation, because I think it applies to my own historical novel, which was inspired by a pencil edit in a journal written in 1857. Why did she make that change to the journal? The novel explores one line of possibilities, bringing modern sensibilities to what might otherwise seem to be a “Little House” novel. I have aspired to beautiful language, too. Good to know that there other complex, cross-genre indie-writers out there with whom this resonates. stylish fiction with something to say beyond the immediate story line. It’s good writing with depth,’ is close to my own interpretation of at least part of the literary fiction spectrum, the part I choose to inhabit. Good book, good story, good plot and character and themes PLUS the work by the writer that makes for depth and complexity and layers and interconnections. I hadn’t thought about that making it cross-genre, but it does – as well as the historical fiction bits, and the various and sundry movies that get filmed during the trilogy. It just seemed organic – people’s lives are cross-genre. I read everything (except horror) when I was younger, and don’t have much taste for many of the faux supernatural elements (werewolves, etc.) exploding nowadays, but some people love them. Indie has always been the way to go if the establishment wouldn’t take you on, but I think now it’s an actual preference – as Amazon and Createspace (at a minimum) have made the publishing – and some of the discovery (in the form of search functions) commonly available. But the writing has to be careful, meticulous, and beautiful for it to be literary fiction to me: that care is the hallmark, the defining characteristic – and it takes time for a writer to do. But it’s worth it. Interesting comments. Thank you. It appears you are another complex, cross-genre writer who empathises with some of my thoughts. With so many agents and the large publishing houses apparently wary of writing which cannot be forced into simple, uncomplicated pigeonholes, it seems to me that indie is the place to go for writing which doesn’t fit the traditional marketing box. I would have almost happily been forced into a box – but still indie? – but al my target boxes seem to have disappeared. Agents and publishers seem to think readers are pigeonholed, too. Lots of readers read in more than one genre, and would probably enjoy stories with elements of several. But then they don’t know what will work, either – after all the years of having fairly exclusive control of publication. I agree, indie is the way to go, but marketing is going to be very interesting for quite a while yet. Some of the readers who would enjoy indie literary fiction have to be pried somehow (bestseller status, price, awards?) from those who right now think of indie as a vast wasteland.